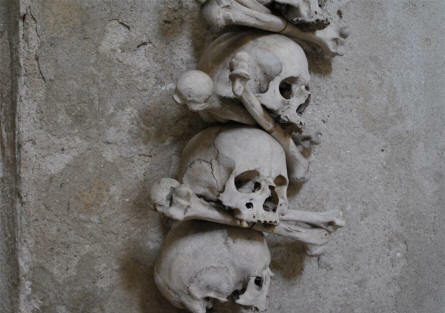 The Kutna Hora Bone Church is a the same time a very unique, fascinating and scary memorial. 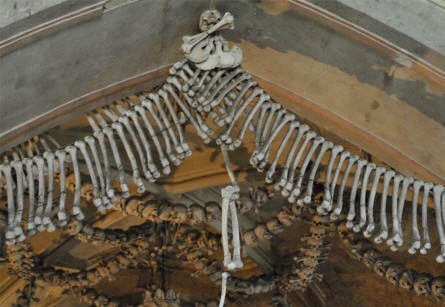 In this church most of the decorations are made from human bones. 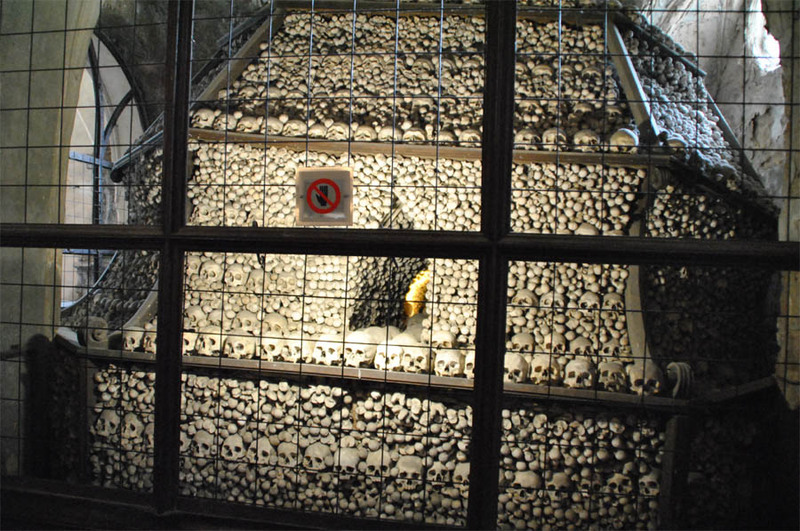 The church contains the remains of about 40 000 people. 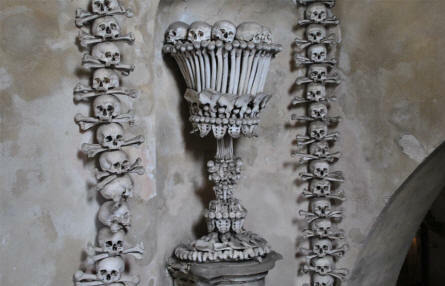 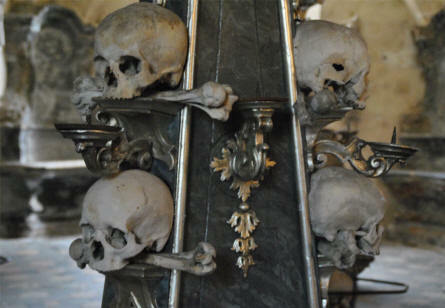 The largest collections of bones are arranged in the form of bells in the four corners of the chapel. 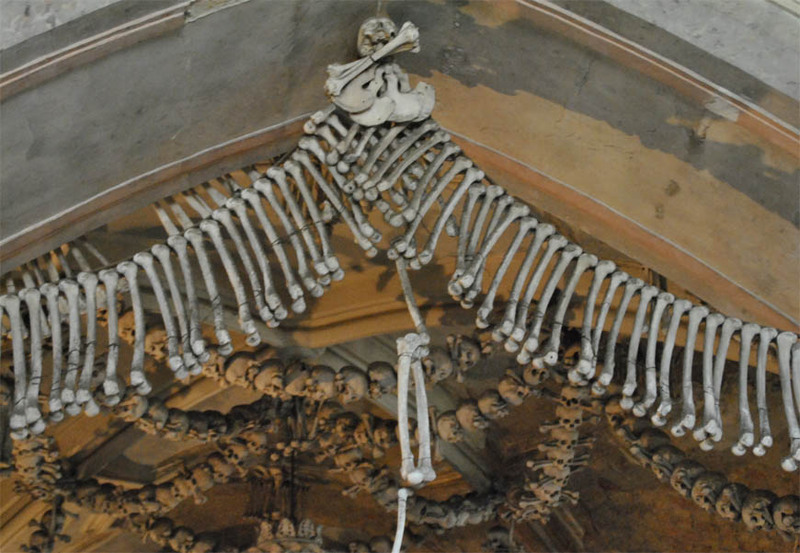 Some of the decorations at the ceiling of the Kutna Hora Bone Church. The coat-of arms of the Schwarzenberg noble family - made with human bones - at the Kutna Hora Bone Church. 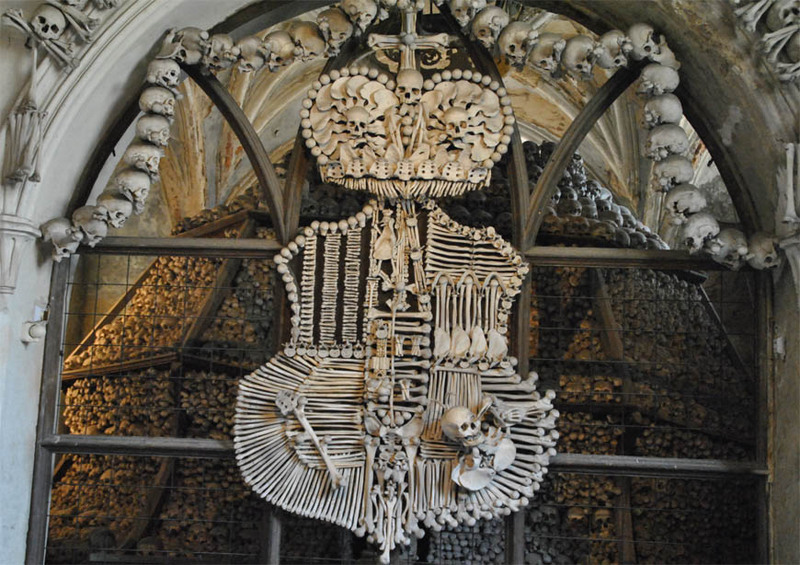 Some of the decorations at the Kutna Hora Bone Church. 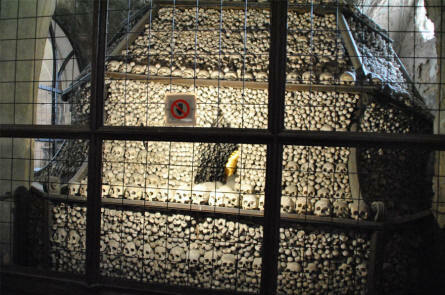 One of the four big piles of human bones at the Kutna Hora Bone Church.